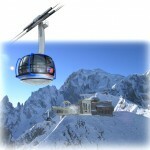 The Nuove Funivie Monte Bianco cableway project obviously requires a strong technological component because it takes place in one of Europe’s highest mountainous environments. Only the in-depth experience accumulated on the most extraordinary mountain ranges of the Italian Alps has allowed the team to develop the appropriate skills and motivation to ensure highly safe results and quality while being environmentally friendly to the areas of intervention both as geographic locations and as organic environments. 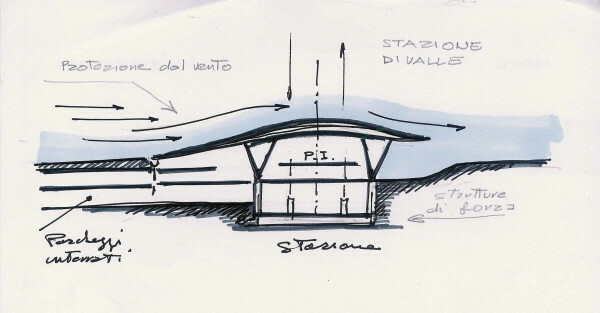 Overall size of the project, meaning appropriately sizing the facilities’ capacity, which consequently guided the choice of the type of system in order to guarantee transport safety and the size of the different environments in order to ensure their ability to accommodate the amount of visitors. Architectural quality, understood as a distinctive representation of the project, given the considerable environmental diversity of the various altitudes that the project will span. 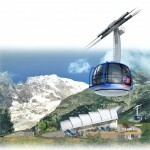 In fact, it was necessary to not only take into account the complex aesthetic requirements of the project’s formal composition, but also the environmental requirements of the various environments, according to their use and to the close relationship that exists with the surrounding areas, systematically taking into account all of the complex technologies involved in setting up the cableway system and all its essential services for proper management of the various areas. Mont Blanc’s unique traits served as guidelines for the different areas. Each element of the architecture had to first of all represent the sustainability values of the environment and the natural elements at the various altitudes. 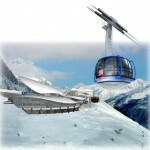 Due to the large difference in altitude of the three sites where the work is taking place, the project is designed to not be homogeneous, but rather it seeks to properly merge with the unique characteristics of the various mountain segments and related scenery. The architectural elements used to achieve the technological requirements of the project’s formal composition span three different styles of architecture, one for each station, and each closely related to its own environmental framework.